Today's deal is for our very popular rubber stamps - great for packaging use! Natural wood base & handle with blue polymer plate. Stamps measure about 1.5" and are available in 6 styles. Fine Info: Deal will remain open until Friday, May 4th. Offer is open to international residents. S&H to US/Canada is $3.50, $5 to all other countries for up to 2 stamps. 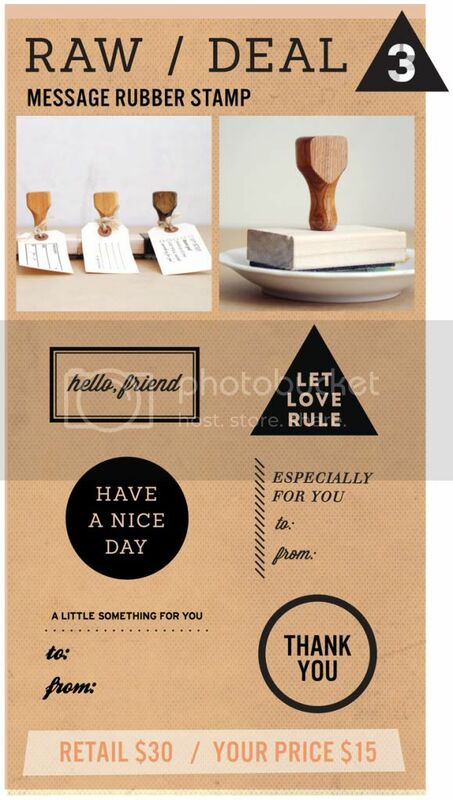 Up to 4 stamps is $5.50 USA/Canada and $7 International - a separate shipping invoice will be sent to you. Please allow 1-2 weeks for shipment. If you'd like to purchase more than 4 stamps, email me! Simply click the "buy now" button below to purchase!